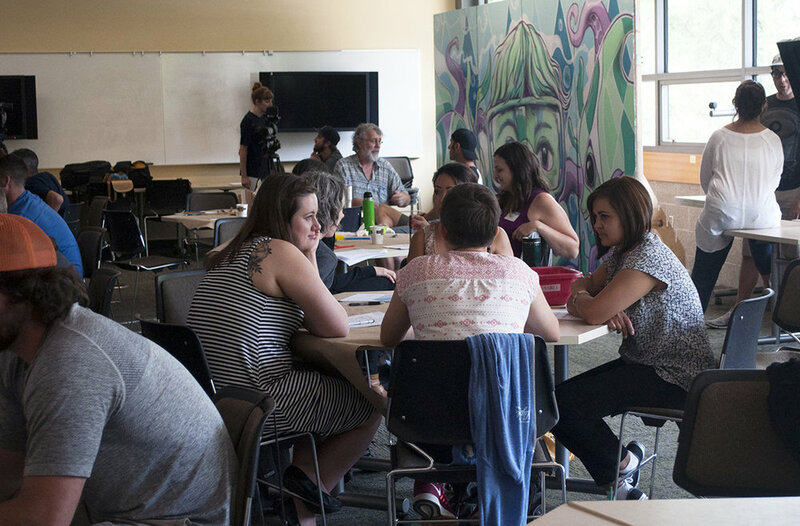 This four-day institute intensive invited educators to dive deeper into arts integrated learning and design, and to plan instruction for the upcoming school year. 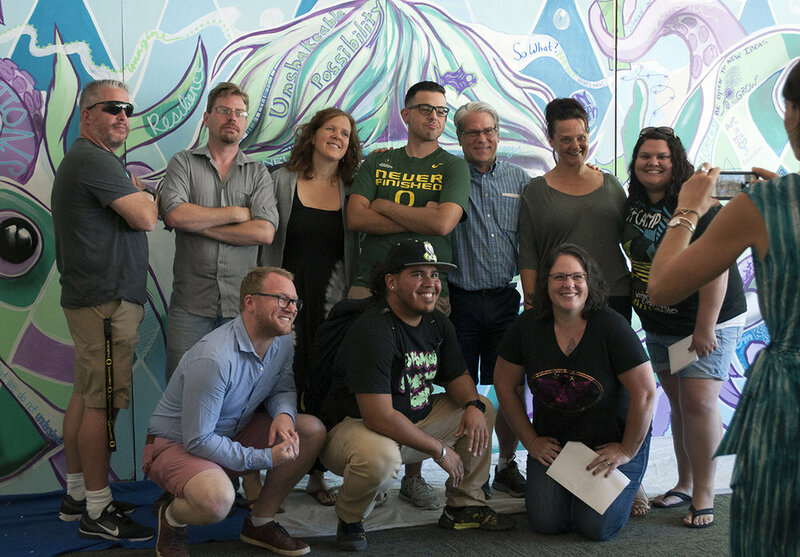 The training institute was open to all current educators across the five ArtCore schools. 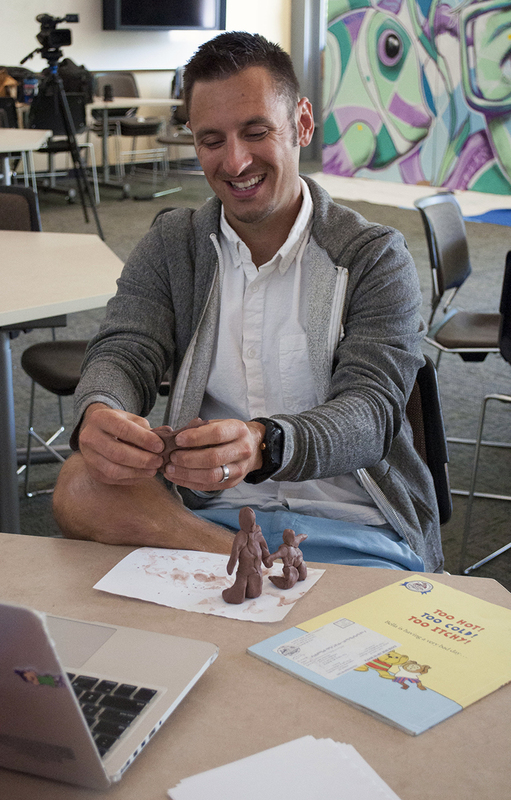 Teachers explored arts integration methods and strategies through enriching presentations, group discussions and reflections, short "Shallow Dive" workshops, and immersive multi-day "Deep Dive" sessions. 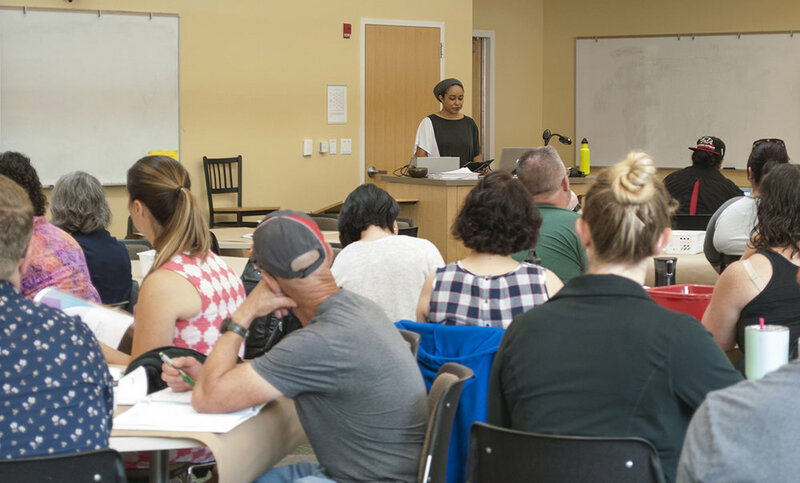 The institute opened with a keynote from Mariah Landers on story and equity, and continued with collaborative, hands-on workshops. 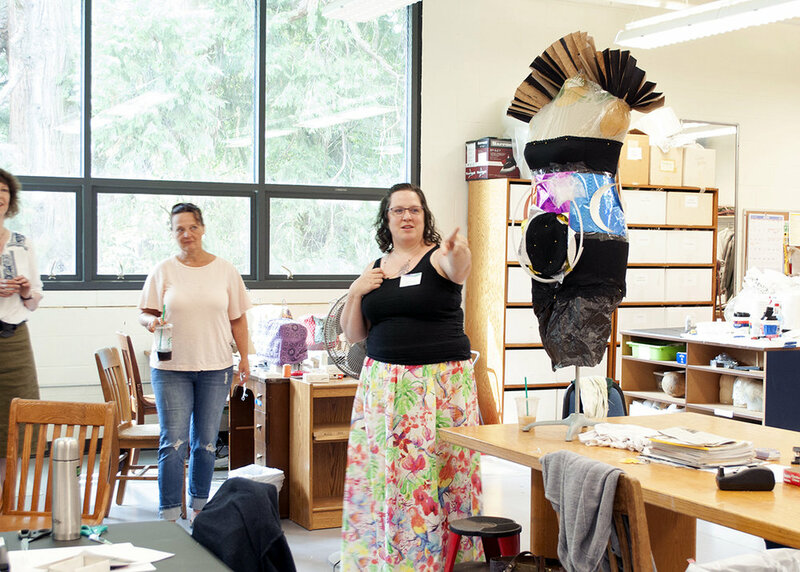 The UO theatre department welcomed teachers to their costume shop, where they experimented with interpreting ideas through costume design. Others investigated possibilities with theatre and movement. 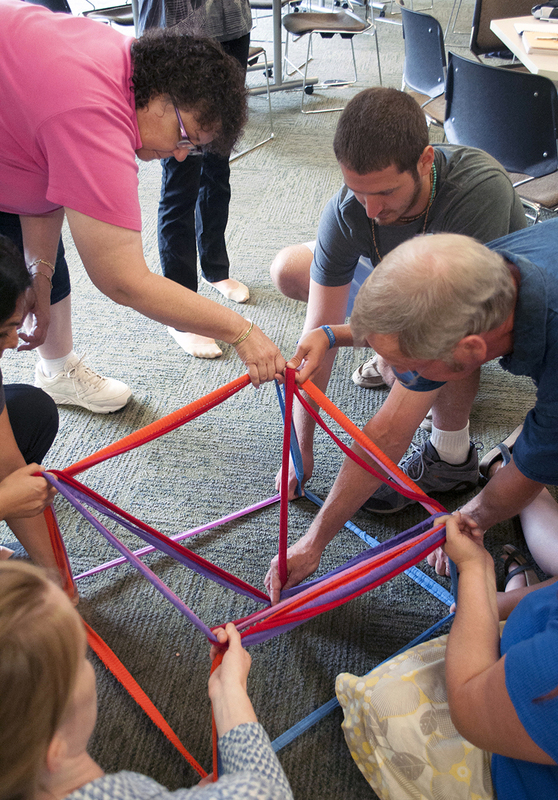 Throughout the institute, participants were encouraged to reflect on their experiences in creative ways, learning how arts integration can aid in reflective processes. 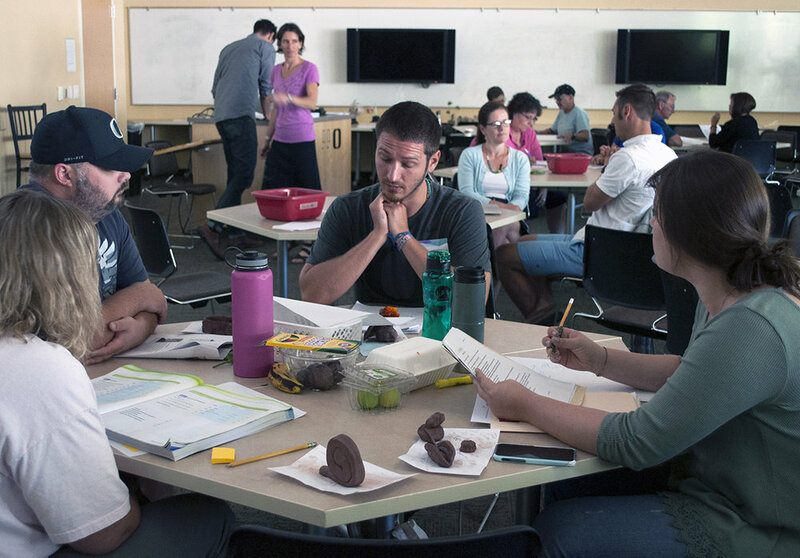 "Deep Dive" sessions took teacher groups along a journey of arts integrated learning across four subject areas: 1) Mathematics and Movement, 2) Social Studies and Theatre, 3) Language Arts and Music, and 4) Science and Visual Arts. 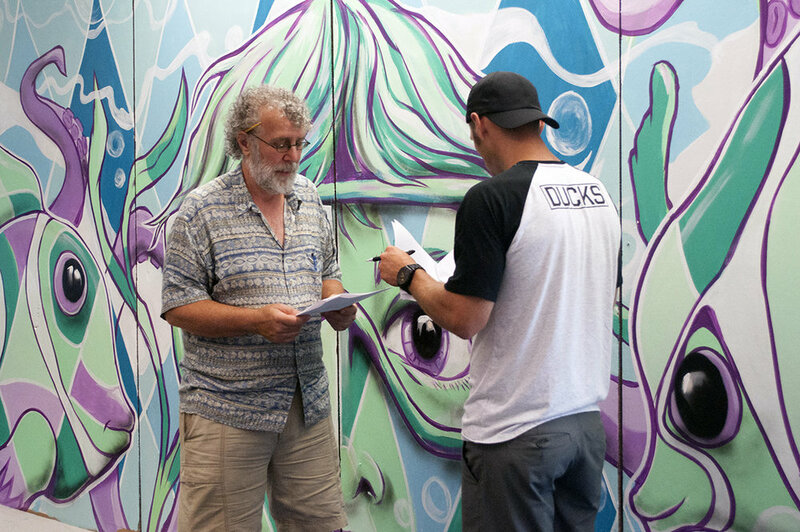 Each group experienced first-hand how arts integrated curriculum enhances the learning experience, and contributed to a final showcase presenting their creative work. Download the Summer Institute program. "I am excited to follow my passion in teaching. You inspired me to take some healthy risks in my classroom. Thank you so much for this conference. I can honestly say it changed my life for the better. It was incredible to be in a room with so many like minded educators." 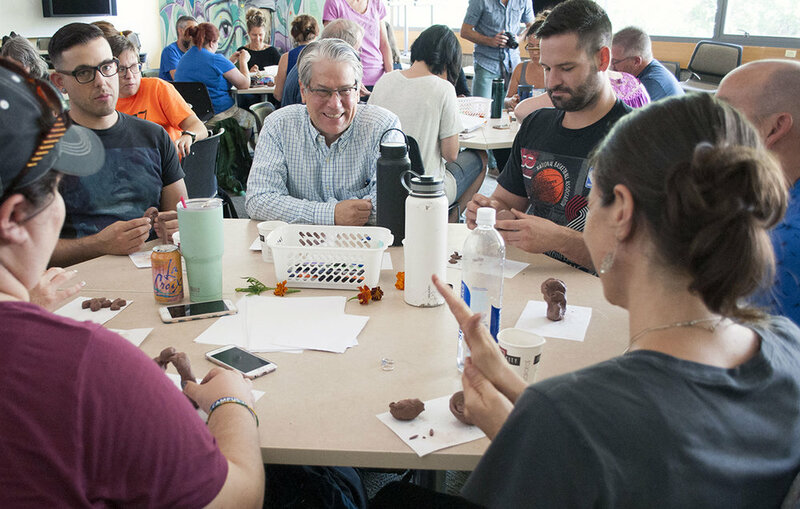 "The most effective part of the institute was the purposeful connection of arts and curriculum, and the opportunity to develop a lesson and/or ideas for incorporating art into a topic. This year I am excited about inspiring kids to be engaged in new and meaningful ways, and challenging them to stretch and explore while building on previous knowledge." "I appreciated how the institute pushed us out of our comfort zones, and put us in the shoes of our students. 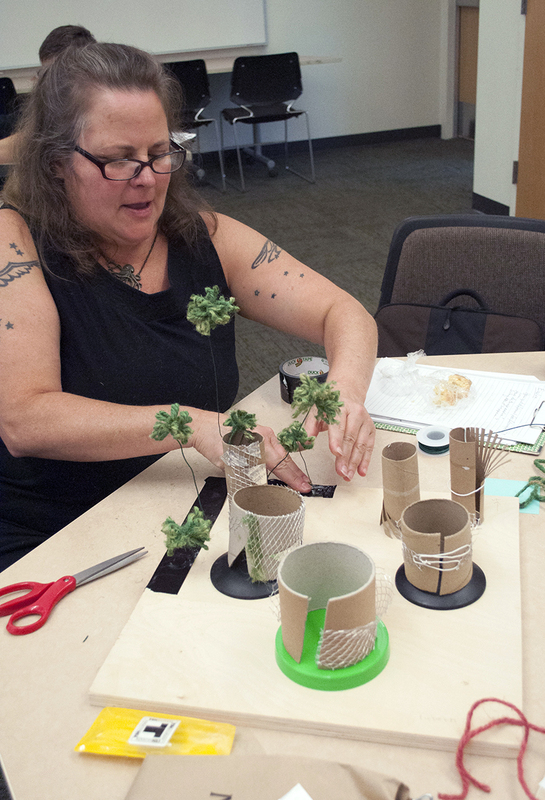 I look forward to making abstract concepts 3D, and letting students respond with materials and space, instead of just words." "My favorite part of the institute was the session on hip hop and the history of culture and language themes. I'm excited about creating a project through hip hop that will engage my students while deepening their understanding of class content.